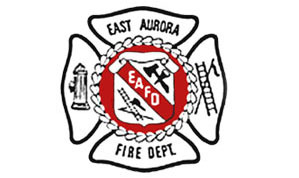 Thank you for your interest in joining the East Aurora Volunteer Fire Department. The New Member Application Folder contains basic information about the EAFD and all of the forms necessary to complete the application for membership. Follow the step-by-step guide below to ensure that your application is completed in the shortest period of time. In addition any recent highschool graduate interseted in attending a community college can take advantage of the FASNY HELP. FASNY (Firemen's Association of the State of New York) www.fasny.com/resources/fasny-help/ offers assistance through FASNY HELP, a Higher Education Learning Plan. The program provides tuition reimbursement to volunteer firefighters, allowing them to attain up to eighty (80) credit hours from a New York State chartered community college. Under FASNY HELP, volunteer firefighters will be eligible to have 100% of their tuition reimbursed in exchange for maintaining high grades and "active" membership. There is no restriction on the type of academic course(s) the FASNY HELP student-volunteer can pursue. 1. Decide to apply. Consider that the Department is the front line of Homeland Defense proving fire suppression, vehicular accident extrication, primary emergency medical services, and special operations such as hazardous materials response, high angle rescue, and other services. The Department provides apparatus, equipment, personnel protective clothing and equipment, training, and supervision to make the work we do as safe as possible. 3. Complete Department Membership Application Form, and Background Check Form and submit them to the representative of the company you have chose to join. Or, if have not yet chosen a company, you may call or mail your application to the hall. If calling is an option, please call our recruitment hotline at 716.220.2943 and the Chief or a representative will call you back. If mailing is the best option, then mail the forms to the Chief of Department, 33 Center St., East Aurora, NY 14052. The Chief will arrange for you to meet representatives of the various companies to help you make your choice. 4. Upon receipt of your application forms your company will contact you to assist you in scheduling a physical examination. The Department will assume the cost. 5. Upon completion of the physical and certification that you are fit to assume firefighter's duties, the final membership process will take place. Submit the Physical Examination Form to your company representative. 6. Your company will arrange for you to be interviewed as your final step in the application process. 7. Your completed application package will be presented to the entire company at it's next regular monthly meeting for action. If you are accepted into membership you will be introduced to the company at that meeting. 8. The company secretary will represent your application to the Department Fire Council for Department approval within one month. 9. Once the Department Fire Council approves your application the Department and Company officers will issue you personal protective clothing and the alert radio.